yes, the bar has been set. 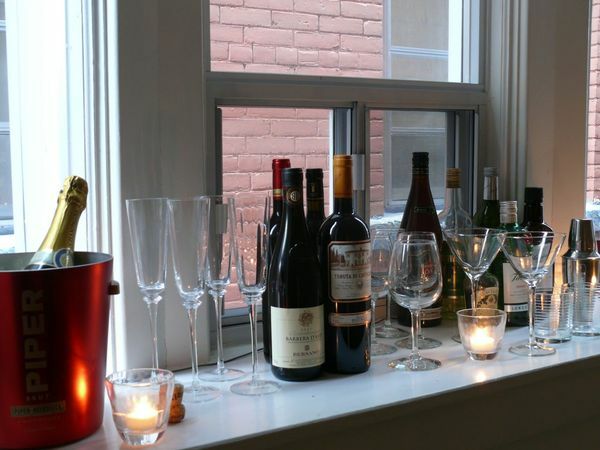 not just the one on the little window ledge in my house for a small nye fete, but also the bar for the new year in general. when it comes to my adventures in food, i have had such a great year. this was the year i made a real commitment to this blog and i am happy that i made time to work on my recipes and share them here–and i’m so thankful for the support i’ve received. the kind comments and words of encouragement here and on twitter were greatly, greatly appreciated. but even more than that, i am so appreciative of the new connections i’ve made with people who are as passionate about food as i am. when you can meet up with virtual strangers and effortlessly talk the night away about one thing (food, in my case) without a second of silence, it feels like you’ve found your place. for me, sharing recipes and stories about food, family and culture is a cherished experience and the connection i feel from that to people, and life, is very real. i expect only greater things from next year and the next decade. i’m out to get more of this. more food, more love, more great new people, more fun, more passion and i’m going to get it by giving as much of it and myself that i can too. i’m looking to the passionate people who set amazing examples by giving, making, sharing, enjoying, relishing, and never stopping as my inspiration. there’s a lot of you out there. thank you! and HAPPY new year. you too, heather! you’re one of the people setting the bar–can’t wait to hear about your amazing adventures! I just stumbled across your blog and LOVE it. Have a wonderful new year. 2009 was a great year and I am also grateful for meeting new friends. Cheers to another great year of friends, food and wine! Your blog is awesome! Keep it up. I check in every day. Mucho inspirational! Happy new year to you and tha J-izzo!